If you love flying, you’ll love the Townsville Air Show ! Here at Ians RC Hobbies, we love the real thing – almost as much as flying our own RC Planes, remote controlled helicopters and drones. To experience being a ‘real pilot’, or maybe to hone down your own remote controlled drone piloting skills, keep the Townsvill air show in mind next year for a top weekend away. AN AIR show coming to Townsville in 2016 is tipped to become one of the biggest events on the city’s events ­calender, drawing tens of thousands of people. The massive aerial display will be held in October next year to mark the garrison city’s 150th anniversary. City leaders are optimistic the air show could become a regular fixture and cement Townsville as an events destination. 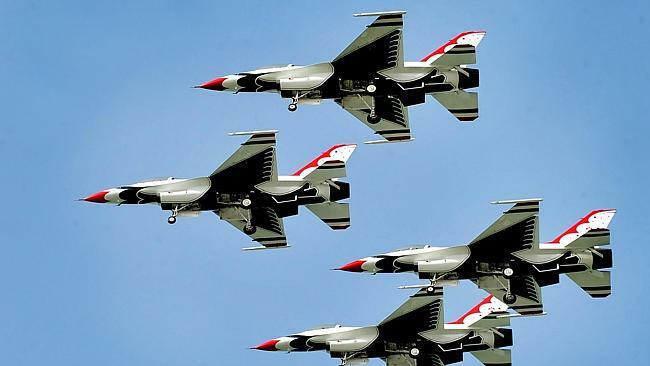 The last time the city hosted a major air show was in 2009 when 70,000 people lined The Strand and packed high-rises to watch F-111s, Caribous, ­FA-18s, Roulettes, defence helicopters and the US Thunderbirds aerobatic team.